Click on graphic to visit Brunet website. Or visit their Facebook Page. We offer complimentary service to our residents. may have a time limit on them and may not work. person enjoy while they were alive? who have recently left this mortal world. WILSON, Angus Mackay - Peacefully at the Perley and Rideau Veterans' Health Centre on Tuesday, August 27th, 2013 at the age of 92. Predeceased by his parents Senator Cairine Reay Wilson and Norman Frank Wilson. Dearly beloved husband of Alice (nee Slinger). Dear father of Cairine Wilson (Tony Mancini), Joanna Wilson (Bob Bellfoy) and Norm (Patricia Tully) . Cherished grandfather of Mark and Andrew Wilson. Dear brother of Norma Davies (late Jim) and Robert Wilson (Marilyn Pickering). Predeceased by his siblings Olive, Anna, Cairine, Janet and Ralph. Fondly remembered by his nieces and nephews. He was a World War II Veteran in the Italian Campaign. He later graduated with a BSA from the Ontario Agricultural College. In addition, he was a recipient of the Queen's Diamond Jubilee Medal for Community Service. Funeral Service will be held at St. Andrew's United Church, 2557 Old Montreal Road, Cumberland on Tuesday, September 3, 2013, at 2 p.m. In lieu of flowers memorial contributions to St. Andrew's United Church (Cumberland), Canadian Cancer Society or to your favorite charity would be appreciated by the family. 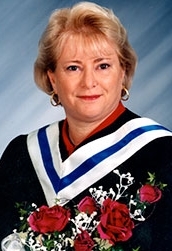 GOULD, Patricia Carol - It is with great sadness that we announce the sudden passing of Patricia Carol Gould on Saturday July 6, 2013 at home, at the age of 75. 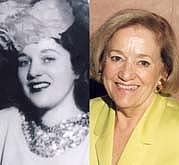 Born in Medicine Hat, Alberta, Pat was predeceased by her parents Joseph and Wanda (Senwich) Teel, a brother William Teel and a daughter Brenda Lee Gould. She will be missed by her loving husband Howard of Rockland, Ontario, daughter Susan (Casey) Boutkan of Medicine Hat, Alberta, and daughter Patricia Lynn Gould of Rockland, Ontario, grandsons Brian and Bradley Boutkan of Medicine Hat, Alberta, granddaughter Brittany Gould of Rockland, Ontario, sister Irene (Gerald) Nichols of Medicine Hat, Alberta, brother Frank (Joyce) Teel of Medicine Hat, Alberta, and several nieces and nephews. As per Pat's wishes, cremation has taken place, and a private service will be held at Saamis Prairie View Cemetery in Medicine Hat, Alberta, at a later date. Those wishing to make a donation in Pat's memory may do so to the Heart and Stroke Foundation, the Canadian Diabetes Association or a charity of your choice. Arrangements: Kelly Funeral Home Orleans Chapel, 2370 St. Joseph Blvd, Orleans, ON, K1C 1G1, 613-837-2370. You can read the condolences, or leave your own by visiting the Guest Book. SANSON, Mathoni of Rockland passed away at his home on Saturday, June16, 2012 at the age of 21 from the effects of Duchenne Muscular Dystrophy. Mathoni touched many lives with his kindness and good spirit. 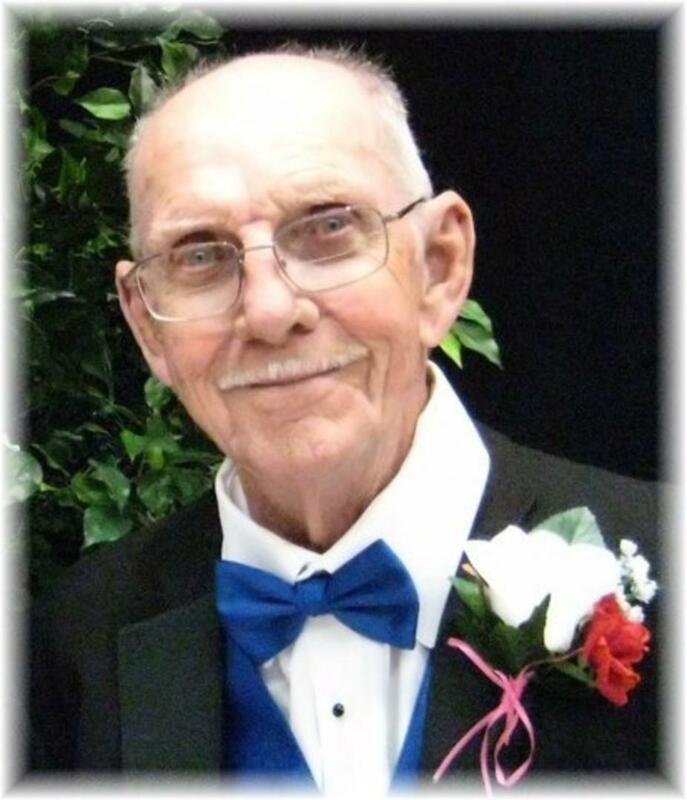 He was very involved in the Scouts movement and served faithfully in many callings in his Church. Funeral service will be held on Wednesday June 20 at 11am in The Church of Jesus Christ of Latter-day Saints, 6255 Cumorah Dr, Orleans, ON. The family wishes to thank the CCAC, St-Elizabeth, and Outreach for their dedication, particularly Kathy Pallett, Correne Killian, and Sheila Cuffe. You can read and sign the Guest Book by clicking here. Mathoni is buried in Dale's Cemetery. Mathoni's brother Lehi passed away on Saturday, May 9, 2009. GAUTHIER, Joël - Student in Electrical Engineering and Founder of the Crohn’s Disease Support Group of the Ottawa Carleton University. Joël Gauthier of Rockland, Ont. 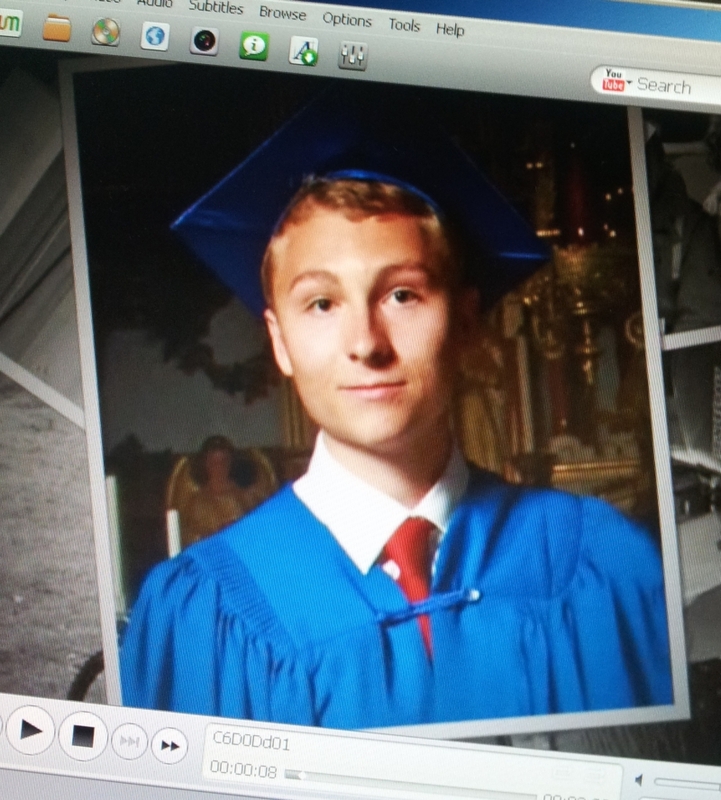 passed away tragically on Friday, May 25, 2012 at Vincent Massey Park at the age of 18. Adored son of Pierre Gauthier and Lynne Beauchamp. Cherished brother of his dear sister Michèle. He will be sadly missed by his maternal grandparents, André and Laurette Beauchamp, paternel grandparents, Huguette and Jean-Guy Gauthier, his maternal great grandfather, Horace Laflamme and his paternel great grandmother, Simone Marion. He leaves behind his uncles and aunts, Mario and Judith Beauchamp, Stéphane and Hélène Beauchamp, Daniel and Dianne Gauthier, Sylvie and Fred Bowman, his cousins, Renée, Maxime, Guillaume and David Beauchamp, Matthieu, Dominic, Stéphanie Gauthier, Joey, Nicholas, and Eric Bowman. He will be fondly remembered and missed by numerous friends. The family wishes to thank the ICU team of the Ottawa Hospital Civic campus for their great care and compassion. Special thanks to Marie-Laurence for her great courage and support towards Joël. Donations to the Canadian Crohn’s And Colitis Foundation Of Canada, P.O. Box 141, Dunrobin, ON, K0A 1T0, Tél: 1-877-338-7426. Joël, passionate for his mountain biking, alpine skiing and paintball games, you will always be in our hearts, R.I.P. Funeral service will be held on Thursday May 31st, 2012 at 11 a.m., at the Très-Sainte Trinité Church, 2178 Laurier, Rockland, Ont. You may express your condolences to the family on Wednesday from 2-4 and 7-9 p.m. and Thursday from 9:30 a.m. at: THEO BRUNET & SONS FUNERAL HOME, 2419 Laurier Street Rockland, Ont. 613-446-4691 Condolences and Donations or viewing of a Photographic Tribute at: www.brunetfuneralhome.ca. THEO BRUNET & SONS FUNERAL HOME, 2419 Laurier Street Rockland, Ont. 613-446-4691, Condolences and Donations or viewing of a Photographic Tribute at www.brunetfuneralhome.caCondolences and Donations or viewing of a Photographic Tribute at: www.brunetfuneralhome.ca. 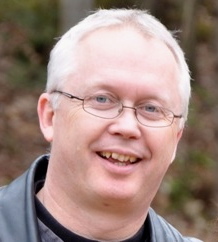 MANTHA, Gilles, of Rockland, Ont., on Wednesday April 25th 2012 at age 53. Son of the late Réal Mantha and the late Pauline Betts. Beloved husband of Barbara (nee Zarzycki). Dear father of Jonathan and Lindsay. Brother of: Rhéal (Patricia Sarazin), Gérald (Danielle Serrurier), Michel, Marguerite (Maurice Beaudoin), Louise (Pierre Barette), Lise, Joanne and Annette. 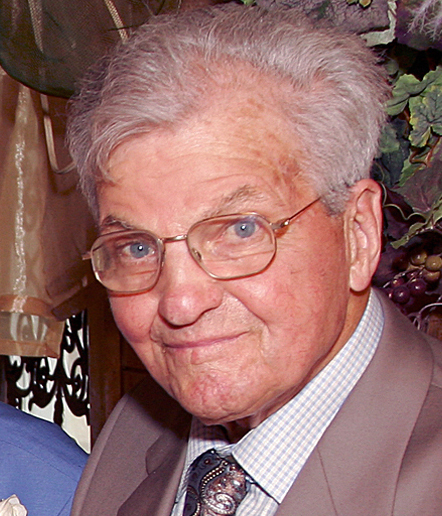 Will be foundly remembered by his father-in-law Jerzy Zarzycki (the late Jadwiga), brother-in-law Greg Zarzycki of Los Angeles and many nieces and nephews. Predeceased by his sister Nicole and his brother Pierre. Donations to the Canadian Cancer Society 837 rue Pitt unité 1 Cornwall, Ont. K6J 3S5 or to the Muscular Dystrophy 215- 150 Isabella St. Ottawa Ont. K1S 1V7 Would be appreciated. Funeral service will be held at Très-Sainte-Trinité church, 2178 Laurier, Rockland Ont. on Tuesday May 1st 2012 at 11 am. You may express your sympathies to the family on Monday April 30th from 7-9 p.m. For more information: Theo Brunet & Sons Funeral Home, Rockland, ON., 613-446-4691. Condolences and Donations or viewing of a Photographic Tribute at: www.brunetfuneralhome.ca. Melvin (Mel) Walker, beloved husband of Bobbie, loving father of Dana (Sean Healey) and Craig (Ashley). He will be missed by his grandchildren Ryan, Logan and Kiera. Mel lost his battle with Cancer early February 23 peacefully at home with his family at his bedside. A memorial and Lions service will be held at St. Andrew's United Church, 2557 Old Montreal Road, Tuesday, February 28 at 11:00 a.m. followed by reception at Maple Hall, 2552 Old Montreal Road. Condolences and donations to the Canadian Cancer Society may be made at www.heritagefh.ca. You can also visit the online Guest Book and leave a message of condolence. Published in The Ottawa Citizen on February 25, 2012. 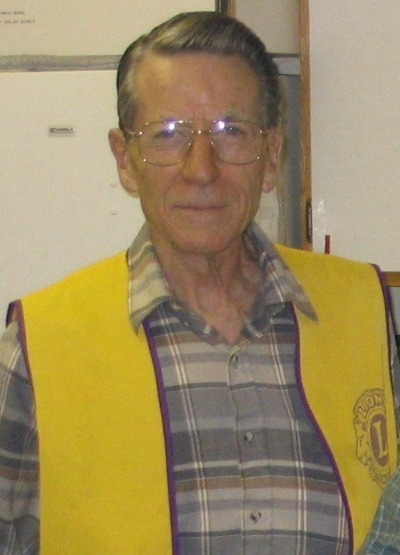 It is with deep and very profound sadness that I have to inform you that Lion Mel Walker of our Cumberland Lions Club, passed away peacefully at home in the presence of members of his immediate family February 23, 2012. He faced his courageous battle with cancer with great courage until the very end. Lion Mel will be sadly missed by his most loving wife Bobbie and his two devoted children Lion Craig Walker and Dana Healey and will be fondly remembered by his grand-children. The Funeral service, including a Lions Service, will be held at St. Andrew's United Church, 2557 Old Montreal Road, Cumberland, on Tuesday, February 28 at 11:00 a.m. this will be followed by a reception at the Lions Maple Hall, 2552 Old Montreal Road, across the street from the Church. As many of you know, Lion Mel was a highly respected and active regular Lions member of the Club. His membership dates back to 1981 and as a result of being a very dedicated and committed Lions member, he received many awards in recognition of his outstanding achievements and involvement including the Judge Brian Stevenson Fellowship. Theo Brunet & Sons Funeral Home, Rockland, ON., 613-446-4691 or visit their website: www.brunetfuneralhome.ca. BURNS, Helen Norma (nee Edwards) - Peacefully at home with family present on Tuesday, January 24, 2012 at the age of 78. She will be lovingly missed by her husband of 56 years Robert, children Laurie (Perry Watson), Bruce, Wallace, Donna (Jeffrey Daw), Allan (Stephanie). Predeceased by daughter Bonnie Jean and daughter-in-law Karen. Much loved grandmother of Dale and Julia Watson, Jessica (Brady Polson), Rebecca and Keith Burns, Jordan Daw, Levi and Mackenzie Burns. Dear sister of Bob (Sally) Edwards and sister-in-law Lorna (Charles) Glennie. Predeceased by parents Norman and Florence (nee Kennedy) Edwards, brothers Harold, Ronald, Myles and Barry and sister Alice Anderson. Will also be missed by sisters-in-law Virley Edwards, Florence Edwards, Mildred Edwards and brother-in-law Bill Anderson. Will be remembered by many nieces, nephews, cousins and friends. Helen was very involved in her community, particularly the Navan-Vars United Church, Navan-Vars UCW, Navan Women's Institute, Navan Fair Board and numerous other volunteer committees and charitable activities all her life. She has been recognized for her volunteer work and proudly displayed her citations in their home. Many thanks to Dr. Louise Coulombe and the home palliative care team. Funeral Service was held Friday, January 27, 2012 at 11:00 a.m. at the Navan-Vars United Church, 1129 Smith Road, Navan. Donations in Helen's name to the following organizations would be gratefully appreciated: Navan-Vars United Church and the Canadian Cancer Society. For more information call: Hulse, Playfair & McGarry, ON., 613-748-1200 or visit their website. EDWARDS, Thurlow Myles of Cumberland, Ont. Passed away on Monday January 16th, 2012 at age of 75. Beloved husband of Mildred Morin. Son of the late Norman Edwards and the late Florence Kennedy. Dear father of: Heather (Dennis Dickau), Larry and James. Loving grandfather of: Kennedy, Clarke, Dustin, Sheldon, Bryce and Kale. Brother of: Helen (Bob Burns), Bob (Sally). Will be fondly remembered by many in-laws, nieces, nephews and friends. Predeceased by his sister: Alice (Bill Anderson) and 3 brothers: Harold (Virley), Ron (Florence) and Barry. Myles will be greatly missed by family and friends. In lieu of flowers donation to the Canadian Cancer Society, 837 Pitt St. Unit 1 Cornwall, Ont. K6J 3S5. Funeral service held at St-Andrews United Church, 2557 Old Montreal Rd. Cumberland, Ont. on Saturday January 21st, 2012 at 11:00 a.m. For more information call: Theo Brunet & Sons Funeral Home, Rockland, ON., 613-446-4691 or visit their website: www.brunetfuneralhome.ca. HALPENNY, Rachelle (Nee Marengère) of Rockland, Ont. on Tuesday, January 10th, 2012 at the age of 61. Beloved wife of Jim Halpenny and daughter of Simone Roy. Dear mother of Charles (Megan) and Justin (Nikki), Loving grandmother of Madison, Cynthia, Ethyn, Colton and Jordan. Sister of Robert, Yvon and Gerry. THEO BRUNET & SONS FUNERAL HOME, 2419 Laurier Street Rockland, Ont. 613-446-4691. Condolences and Donations or viewing of a Photographic Tribute at www.brunetfuneralhome.ca. You can also visit the Ottawa Citizen website where there is a link to a Guest Book where you can leave messages of condolence. (Editor's note: Too often we miss these announcements and often times miss the opportunity to offer condolences to families, friends or colleagues. And as it happens we learn so much more about a person after they have passed away. A example was the recent demise of local resident of note, Rachelle Halpenny. Rachelle was disabled and you would often see her around Rockland in her wheelchair, accompanied by her faithful Black Lab. She never considered herself as being disabled. She once said: "I'm not really disabled. What I can't do is not what I want to do ." Rachelle was a strong advocat for persons with disabilities and was probably singularly responsible for having an accessible bus added to the C-R Transit fleet. What you may not have known is that Rachelle was a paraolympian in her younger days and won many medals representing Canada. She began competing in disabled sports in 1976 and her achievements were incredible. Her specialties were rifle shooting, table tennis, swimming, archery, and track and field; she won medals (mostly gold) in all of these events. LALONDE, Gisèle, (nee Charron) of Rockland, Ont. on Wednesday, September 14th, 2011 at the age of 72. Beloved wife of Jean-Marc Lalonde (MPP). Dear mother of: Mario (Geneviève Boudrias) and François (Manon Lavergne). Loving grandmother of: Joshua, Tristan and Marie-Ève. Cherished sister of Michel (Madeleine Simoneau). Predeceased by her parents Alphonse Charron et Irène Rochon. Donations to the Canadian Cancer Society 837 Pitt St., Unit 1 Cornwall Ont. K6J 3S5 would be appreciated. Funeral service held at Très-Sainte Trinité Church, 2168 Laurier St. Rockland Ont. on Monday September 19th, 2011 at 2 pm. HOULE, Serge of Rockland, Ont. passed on Saturday June 25th, 2011 at age of 69. Son of the late Joseph Houle and the late Blanche Chrétien. Dear father of Stéphane (Jodi Ryan), Patrice (Jade Roy) and Karina (Matthew Wiggin). Loving grandfather of Emilie, Alexi and Gabriel. Cherished brother of Montcalm (Huguette), Marcel (Gabrielle), Robert (Raymonde) and Denis (Francine). Will be fondly remembered by many nieces, nephews and friends. Predeceased by his sister Aline (Jean-Yves Allard) and his brother Rémi (the late Hélène). Special thanks to Dr. Yves Lefebvre for his good care and compassion. 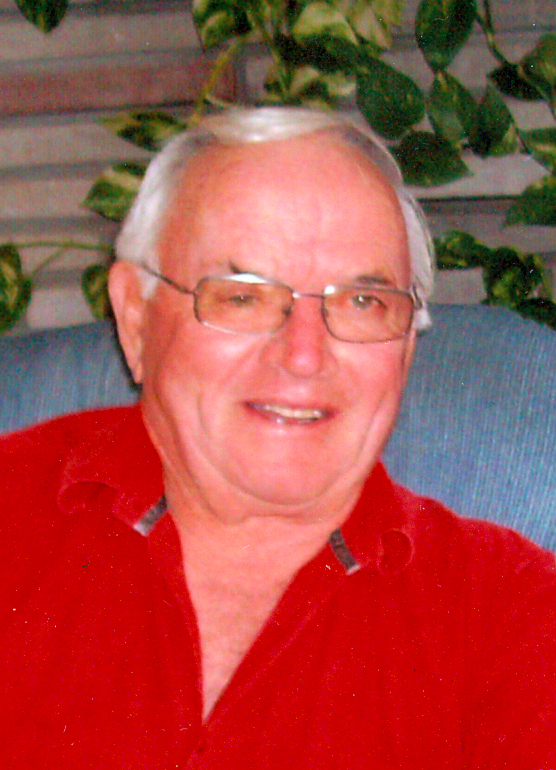 Funeral service will be held at Très-Saint-Trinité Church, Rockland, Ont. on Thursday June 30th, 2011 at 11:00 a.m. You may express your condolences to the family at the church 30 minutes before the service. For more information call: THEO BRUNET & SONS FUNERAL HOME, 2419 Laurier Street Rockland, Ont. 613-446-4691. Condolences and Donations at www.brunetfuneralhome.ca. GUINDON, Anita Of Rockland, Ont. passed away on Saturday, May 14th, 2011 at age 90. Beloved wife of the late Joseph Guindon. Daughter of the late Osias Pigeon and the late Laurenza Martin. Dear mother of Michelle Jack, Andre (Michelle Lackner), Ginette (Grant Goyer), Yvon (Lise Marcil), Serge (Tracey Harvey), Josette (Daniel Rochette), Remi (Melanie Millar) and Pierre (Debby Fortin). Loving grandmother of 19 grandchildren and great-grandmother of 12 great grandchildren. Sister of Jeannine (Roger Drouin). Will be fondly remembered by one brother-in-law, her sisters-in-law, nieces, nephews and friends. Predeceased by her son Gilles, her daughter Lise (Raymond Godard), her brothers Marcel, Claude and Gaston. The family wishes to thank the staff of the Centre d'accueil Roger Seguin, Clarence Creek, Ont. Donations may be made to the Roger Seguin Foundation or the Canadian Cancer Society. Funeral service will be held on Friday, May 20th, 2011 at the Tres-Sainte-Trinite Church, Rockland, Ont. at 11:00 a.m. You may express your condolences to the family on Thursday from 2-4 and 7-9 p.m. and Friday from 9:30 a.m. at: THEO BRUNET & SONS FUNERAL HOME 2419 Laurier Street Rockland, Ont. 613-446-4691 Condolences and Donations or viewing of a Photographic Tribute at www.brunetfuneralhome.ca. Mr. Steven Waite from L'Orignal passed away on Saturday, May 14, 2011 at the age of 48. He was the beloved husband of Diane nee Larocque Waite; the son of the late Wallace Waite and of the late Wanda McGill; the beloved father of Ashley and Naomi; the dear brother of Susan (Guy Proulx), Kathleen (Vincent Windle), James (Diane), Wendy (Rick Perkins) and brother-in-law of Lise (Germain Vinet), Guy (Louise), Andree and Daniel; the uncle of Jean (Nathalie), Marc (Kathleen), Melanie (Carl), Katherine (Mathieu), Alexandra (Benoit), Eric (Meredith), Simon (Chantal), Jeremy (Stephanie), Mathieu (Isabelle), Isabelle (Pascal) and Sophie (Christian). He is survived by many uncles, aunts, cousins, nephews, nieces, co-workers and friends. 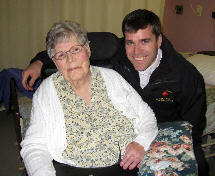 The family wishes to thank Manon and Sylvie from Bayshore Home Care for the great care provided. A special thanks to Johanne Rieux from the Hawkesbury General Hospital for the attentive care. Friends may call at Berthiaume Funeral Home Ltd. 416 McGill Street, Hawkesbury, Ontario (877) 632-8511 Thursday, May 19, 2011 from 2 p.m. to 5 p.m. and from 7 p.m. to 10 p.m.; Friday May 20, 2011 private visits. A funeral service will be held at St-Jean-Baptiste Church in L'Orignal on Friday May 20, 2011 at 11 a.m. For those who wish donations to the Canadian Cancer Society, 837 Pitt Street Unit # 1, Cornwall, Ontario, K6J 3S5 would be welcomed. 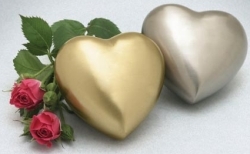 Condolences may be conveyed by fax at (613) 632-1065 or visit our Web Site www.berthiaumefuneralhome.com. You can also send condolences on to the Citizen's Legacy web page here. JOLY, René, of Ottawa, Ont. on Tuesday March 29th, 2011 at the age of 63. Son of the late Oscar Joly and the late Béatrice Jubinville. Brother of Jean (Gisèle Brazeau), Françoise (Raymond Bisson), Bernadette (Edward Sarazin) and Louise. Will be fondly remembered by many nieces and nephews. Predeceased by his brother Bernard (Huguette Lauzon). Special thanks to the Ottawa Police team for their kindness and compassion. Donations may be made to the Foundation of your choice. Funeral service will be held at Très-Sainte-Trinité church 2178 Laurier, Rockland, Ont. on Friday April 8th, 2011 at 11 a.m.
BRISEBOIS, Jeanne (nee Devillaire) Passed away on Friday, March 4, 2011 at the age of 77 years. Beloved wife of the late Laurent Brisebois. Loving mother of Michel, Denise, Gilles, Carole (Michel Boisvert) and Andre (Manon). Cherished grandmother of Nicholas, Jean-Claude, Carole-Anne, Aimee (Christopher McDonald), Rachelle and Liette. Predeceased by her grandson Patrick. She will be sadly missed by her brothers, sisters, nephews, nieces and friends. Family and friends can pay their respects at Heritage Funeral Home, 2871 St. Joseph Blvd., Orleans, on Tuesday, March 8, 2011 from 2 - 4 p.m. and from 7 - 9 p.m. Funeral Mass will be celebrated at St. Joseph Church, 2757 St. Joseph Blvd., Orleans, on Wednesday, March 9, 2011 at 11 a.m., followed by interment at the parish cemetery. In lieu of flowers, donations to the Bruyere Foundation Elisabeth "Bruyere Palliative Care" would be appreciated. Patrick Brisebois of Rockland, Ont. on Friday February 11th 2011 at age 18. Beloved son of André Brisebois and Manon St-Hilaire. Dear grandson of: Yolande Saillant (the late Raymond St-Hilaire) and Jeanne Devillaire (the late Laurent Brisebois). Will be fondly remembered by many uncles, aunts, cousins and friends. Funeral service will be held at Très-Sainte-Trinité church Rockland, Ont. on Thursday February 17th 2011 at 1pm. Donations to the Canadian Mental Health Association 329 Pitt St Cornwall Ont. K6J 3R1 would be appreciated. You can also read his obituary as it appears in the Ottawa Citizen as well as leave and read messages in the online Guest Book. METHOT, Rejeanne (nee Raymond) It is with great sadness that we announce the passing of Rejeanne in her 82nd year, Friday, February 4, 2011. Beloved wife of Arthur Methot, loving mother of Richard, Don (Martina), Suzette (Richard) and Paul (Louise). Proud grandmother to James. Youngest of 12 and survived by her sister Beatrice. A stunningly beautiful and feisty young woman who one day boarded a train from Sarsfield to Ottawa where she met her husband of 64 years. She was lovingly devoted to her family. She was passionate about gourmet cooking, entertaining and gardening. Her life long love of fashion led her to open the boutique Ose in the By-Ward Market with her son Richard where she expressed her creativity designing women's accessories. The family wishes to thank and recognize the exceptional and loving care provided by the Ottawa Hospital ICU staff at both the General and Civic Campuses. Friends are invited to the St. Laurent Chapel of Hulse Playfair & McGarry, 1200 Ogilvie Road (at Aviation Parkway), Wednesday, February 9th after 11 a.m. followed by a Memorial Mass at eglise Saint-Gabriel, 55 Appleford, at 1 p.m. The Interment of cremated Remains will be held at Notre Dame Cemetery, 455 Montreal Rd. Thursday, February 10, at 11 a.m. In lieu of flowers, memorial contributions may be made to the Ottawa Hospital Foundation www.ohfoundation.ca. Sign the Guest Book. HARKNESS, Jean (nee Dunning) Jean Harkness of Cumberland, Ont. on Wednesday, January 19th, 2011 at age 89. Beloved wife by 1st marriage of the late Arthur Hanson and by 2nd marriage of the late Peter Harkness. Daughter of the late Victor Dunning and the late Pearl Brennan. Dear mother of Deanne (the late George Triffo), Priscilla (Wally Filuk), Ingrid (the late Keith Millar) and David Hanson. Loving grandmother of 8 grandchildren and great-grandmother of 7 great-grandchildren. Sister of Ross (Sandra) Dunning. Will be fondly remembered by many brothers and sisters-in law, nieces, nephews and friends. Predeceased by her sister Evelyn Harris and her brother Lloyd Dunning. Special thank you to the staff of the Centre d'accueil Roger Seguin for the compassion and great care received. Funeral service will be held at the funeral home chapel on Sunday, January 23rd, 2011 at 2:00 p.m. Donations may be made to the charity of your choice if so desired. You may express your condolences to the family on Sunday from 12:00 p.m. at: THEO BRUNET & SONS FUNERAL HOME 2419 Laurier Street Rockland, Ont. 613-446-4691 Condolences and Donations or viewing of a Photographic Tribute at www.brunetfuneralhome.ca. Squadron Leader Irving Farmer 'Hap' Kennedy WWII Veteran DFC & Bar RCAF M.D. It is with great sadness that the family of Dr. 'Bus' Kennedy announce the passing of their beloved husband, brother, father and grandfather in his Cumberland home on Thursday, January 6, 2011. He was in his 89th year. 'Bus' is survived by his loving wife Fern (Dale), brother Laurie (Teresa), sister Joyce, daughters Ann and Carol (Dan), grandchildren Robin, Curtis, Laura, Mark and Sean, and many nieces and nephews; step daughters Nancy (Russ) and Martha (Graham) and their daughters Meredith, Robin, Samantha and son Peter. Fondly remembered by Dorothy Kennedy. Predeceased by his parents Robert and Eva, brother Robert Alvin (Ruth), brother Carleton 'Tot' in 1944, and sister Evelyn (Joe Burdett). Bus was born on February 4, 1922 in the family home in the village of Cumberland. At the age of 18, Bus enlisted in the RCAF in July 1940. His ambition was to be a fighter pilot and after flying Hurricanes in England in 1941 (263 Squadron RAF), he was transferred to Spitfires in 1942 (421 Squadron RCAF). 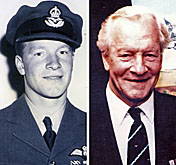 In late 1942, he arrived in Malta (249 Squadron RAF). In Malta, 'Hap' (as he was known to his fellow pilots) was awarded, as an Ace, with the Distinguished Flying Cross. Years later he wrote of enthusiasm for the Allied effort in the Malta days. Due to be posted back to the UK, "the Invasion of Sicily was on and was too good to miss." He was given permission to join 111 Squadron in Sicily (1943) then transferred to 93 Squadron as a flight commander. Posted back to the UK in 1944, with the invasion of France looming, Hap joined 401 Squadron RCAF and with morale high, soon was in France after the Normandy Invasion. He was awarded with the bar to his DFC. In July, leading a Squadron, he was hit by flak, bailed out, and evaded capture with help from a French family and the Maquis. In England, he learned that his younger brother, Tot, had just been killed (Bomber Squadron 434). Hap returned to Canada. Hap often said of his war experiences that "it wasn't the combat but the deep comradeship" that he recalled with fondness. Years later, Hap was decorated with the French Legion of Honour. After the war, Hap studied medicine at the University of Toronto, graduating in 1950. Following internship, he worked as a physician to the Inuit through Indian & Northern Affairs and set up a general practice in Lanark. In 1961, returning to Cumberland, he built his own clinic where he practiced medicine for 37 years. He was greatly respected by thousands of patients throughout the township for his dedication and compassion as a country doctor. Retirement allowed Hap to further enjoy that which brought him greatest pleasure: his love of nature, reading, flying his aircraft out of Rockcliffe Flying Club, and his family. He was extraordinarily diverse in his interests and skills. He was a naturalist, a gardener, a philosopher, a teacher, an author, and a poet. He sang Robbie Burns, he quoted Robert Frost, he watched hockey; he was a thinker, advisor, listener, and a provider. He was a man of integrity and honesty, a humble man who shunned attention, yet drew people to him. He was gentle yet tough as nails. "I shall be telling this with a sigh Somewhere ages and ages hence: Two roads diverged in a wood, and I - I took the one less travelled by, And that made all the difference. - The Road Not Taken, Robert Frost. Friends are invited to visit at the Central Chapel of Hulse, Playfair & McGarry, 315 McLeod Street (at O'Connor) on Monday, January 10 from 2 p.m. to 4 p.m. and 6 p.m. to 8 p.m. In lieu of flowers, donations to the Salvation Army would be appreciated. Read/sign guest book. McMILLAN, Scott On January 5th, 2011 after a long and courageous battle with brain cancer, Scott A. McMillan passed away peacefully at the age of 36. He was the loving son of Colette St. Germain and Alan A. McMillan (Karen King). Loving father of Jessie, brother of Amanda, Trevor and Tanya. Dearest companion of Cynthia and best friend of Danny and Kristen. Loved and will be missed by many uncles, aunts, cousins, nephews, nieces, and grandma Claire. Predeceased by grand parents Goldie, Alex, and Bernie and cousin Martin. Many thanks to all the staff at Extendicare Medex and to all in the medical profession who touched Scott's life. Family will receive friends on Sunday, January 9th at the Pinecrest Visitation Centre (2500 Baseline Rd., Ottawa) from 2-4 p.m. and 7-9 p.m. A Celebration of Scott's Life will be held on Monday, January 10th in the Pinecrest Chapel at 10 a.m. In lieu of flowers, donations to the Canadian Cancer Society would be appreciated. 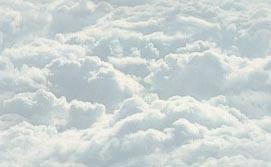 Online condolences may be made to www.colefuneralhome.com. PAYER, Nancy Lee (nee Goddard) Nancy Lee Payer of Rockland, passed away with family by her side on Saturday, November 6th, 2010 at the age of 65. Beloved wife of Bernard Payer. Loving mother to Jen, Jeff and Andrea "Annie." Cherished sister of Kathy (Brian Beck), Jeff Goddard and daughter of the late Fred Goddard, Norma Simonds and her stepfather Peter Simonds. Fondly remembered by many other family members, friends and her cat Stewart. "I am with you always." - Matthew 28:20. Donations can be made to the Heart & Stroke Foundation. A funeral service will be held at the funeral home chapel, on Monday November 15, 2010 at 11:00 am. You may express your condolences to the family on Sunday from 2 to 4 and 7 to 9 p.m. and Monday at 9 a.m. at: THEO BRUNET & SONS FUNERAL HOME 2419 Laurier Street Rockland, Ont. 613-446-4691 www.brunetfuneralhome.ca. Le 23 juin 2010, monsieur Gaston Renaud est décédé à l'âge de 68 ans à l'Hôpital Général d'Ottawa à la suite d'un courageux combat contre le cancer. Il était président et chef de la direction de son entreprise de traduction (Renaud Expertise Inc.). Pendant 30 ans, il a également enseigné le français à l'Université de Western Ontario et à l'Université de Lethbridge, en Alberta. De plus, il était l'ancien président de l'Association canadienne-française de l'Alberta ainsi que le fondateur de l'ACFA de Lethbridge. En outre, il a instauré la première école française au sud de l'Alberta. Monsieur Gaston Renaud est le fils de Anita Bédard et de feu Alfred Renaud de Magog. Il laisse derrière lui son épouse Cunéra Koolen et leur fils Félix à Rockland, Ontario, ses autres enfants Véronique (Scott Cooper), Daniel (Sarah Gillespie) et leur mère Monique; ses frères Clément (Monique Pelletier) et feu Jean-Marc (Huguette Tanguay), ses sœurs Carmelle (Gabriel Lacroix) et Suzanne (Serge Gauthier); ses petits-enfants: Victoria, Luc et Hannah; plusieurs oncles et tantes, neveux et nièces, cousins et cousines et sa belle-famille des Pays-Bas. Selon les volontés du défunt, il n'y aura pas d'exposition. Un service religieux sera célébré le 3 juillet 2010 à 10h, en l'église St-Jean-Bosco de Magog. Les cendres seront déposées au cimetière St-Patrice de Magog. La famille sera présente à l'église dès 9h, afin de recevoir les condoléances des parents et amis. En guise de sympathies, des offrandes de messes ou des dons à LA SOCIÉTÉ CANADIENNE DU CANCER seraient appréciés de la famille. You may still be able to leave a condolence message here. PAQUETTE, Cory of Rockland, Ont. passed away on Monday May 24th, 2010 at age 26. Beloved husband of Jennifer Lynn McBride. Son of Nelson Paquette and Diane Lamarche. Dear father of Aaron Paquette. Cherished brother of Jennifer Lyn (John) of Kelowna, BC. Loving grandson of Rita and Bernard Paquette of Cornwall, Ont. Will be fondly remembered by many relatives and friends. Predeceased by his grandparents Theresa and Claude Lamarche of Cornwall, Ont. Funeral service will be held at Ste-Trinité church, 2178 Laurier St. Rockland, Ont. on Monday May 31, 2010 at 11am. Donations to the CHEO or to the Royal Ottawa hospital foundation would be appreciated. www.brunetfuneralhome.ca. Cory, our son, chose to take his life in the back field of our farm in Rockland. He was 26 years old. He had touched many with his free-spirited soul. Between tears and heartaches, we have come to recall the fond memories of the times he shared with friends and family. Parts of his character spoke deeply. His devotion to his family was unquestionable. His departure has left a deep hole in the lives of those who loved him. The hole will always be there because nothing can replace him, but the jagged edges will gradually and delicately be smoothed out by the love his friends and family had for him. His smile could light up a room, his deep blue eyes could work miracles and his laughter could lighten any mood. His voice carried the assurance that "all will be well." His love of nature reflected his soul and his spirit. His photographic talents were astounding. He loved taking photographs of nature: a snowflake, an owl on a fence post, a sunrise. We look out the window and keep expecting to see him walking home. We see him in a crowd. We expect his daily telephone call. Our tears subside and we remember once again the smile and the laugh and we are well for a time. 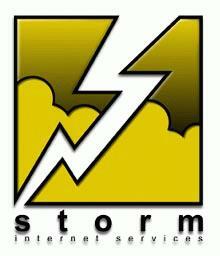 Our son was a technician in heating and cooling with a talent for troubleshooting. He loved the field in which he worked. He would never walk away from a challenge and would resolve it no matter how long it took. He had a family that loved him dearly. Cory's soul partly resides in Nunavut. He had travelled there a few times, once on a school trip in 2000 and a couple of times for his work. Cory connected with some Inuit values and had fallen in love with them: living off nature, hunting and fishing, spiritual values and a certain freedom from living off the land. A former teacher commented that his soul had never come back from his school trip. Someday, his father and I, and his sister and her partner will travel to Nunavut and spread some of his ashes ... where they belong. From the time Cory started school he created strong bonds with his friends. He was faithful and had integrity. He respected family traditions and was proud of his French heritage. He had great empathy for those who suffered. I remember a time when he shared with me with me how painful it was for him to see someone suffering: he was only about 10 years old. I also remember him sharing with me his Grade 5 science hypothesis: because he was colour-blind, he could only identify certain colours. But, because of that, he would appreciate the world for what it represented and not for the colours themselves. For example, a rainbow, a sunset, a sunrise: They were beautiful for what they could represent and it was not only about the colours. His eyes could appreciate them like no others'. He loved to spend a day on his all-terrain vehicle and travel in the woods with his friends. He loved camping and sharing good times with his buddies. He loved his son and his wife very much. It was important to Cory that his son grow up to learn about family values and traditions. We miss him, we love him and we believe he is happy. BURNS, Karen Lynn (nee Findlay) RN, CPN(C) Sunday, January 24, 2010 at the age of 48 from ovarian cancer. Beloved wife of Wallace "Wally" Burns. Loving mother of Jessica (Brady Polson), Rebecca and Keith. Loving sister of Donald (Elaine), Eldon (Kathy), Shirley (Peter Bishop), Beverley Csontos (Alan Webb) and Brian. Predeceased by parents Percy and Madeline Findlay (nee Eastman) and her sister Marilyn (Bill Peacock). Will be dearly remembered by many nieces and nephews. Friends are invited to the Central Chapel of Hulse, Playfair & McGarry, 315 McLeod Street, Monday, January 25, 2010 from 1 to 4 and 6 to 9 p.m. Funeral Service in the Chapel Tuesday at 11 a.m. In lieu of flowers, please consider making a donation in Karen's memory to either Angels in Action (www.angelsinaction.ca) or The Hospice at May Court (www.hospicemaycourt.com). Click here to view or sign the guest book. A constant feeling that God alone Knows best what should have been. SHORTILL, Reverend Mary-Lou nee Carter Peacefully in hospital surrounded by her loving family and friends on Friday, January 22, 2010 at the age of 67. Loving mother of Rob (Renata), Tonya and Gerry (Kristen). Mary-Lou will be dearly missed by her children's father, Ross. Cherished grandmother of Morgan, Stephanie, and Dara. Friends are invited to visit at the St. Laurent Chapel of Hulse, Playfair & McGarry, 1200 Ogilvie (at Aviation Parkway) on Monday, January 25th from 2-4 and 7-9 p.m. Funeral Service will be held at St Andrew's United Church, 2557 Old Montreal Rd., Cumberland on Tuesday, January 26th at 2 p.m. Interment Dales Cemetery in the spring. If desired, memorial contributions to the Canadian Cancer Society would be appreciated by the family. Click here to view or sign the guest book. Architect Extraordinaire Peacefully and unexpectedly on Sunday, December 27th, 2009. Harry was born in the Finnish Community of Montreal on Aug. 3rd 1933, to Eero Ala-Kantti and Helmi Kangasniemi. Beloved husband of Marilyn (nee Hamilton). Dear father of Kurt (Carla) and Erik (Lori). Cherished grandfather of Aleisha, Jesse, Ashley, Brandon, Abby, Alex and Sydney. The family will always cherish the memories of their Christmas celebration held on Saturday, just hours before he received his heavenly wings. A memorial service will be held January 2nd at 11 a.m. at St. Mark's Anglican Church, 2476 Old Montreal Rd., Cumberland. Donations to the Dialysis Unit Ottawa Hospital General Campus would be appreciated. GRAHAM, Geoffrey Edwin Fredrick, loving father of Brittany and Mackenzie; husband, lover and best friend of the true "love of his life" Sandra, passed away on Tuesday, November 24, 2009 after 51 years of doing what he loved -- enjoying life to the fullest and loving his family. Born in Montreal, raised in Beaconsfield, educated at Carleton (BA Criminology '81), lived in Orleans and thrived at Tremblant. A 28 year veteran of the Ontario Provincial Police (Westport, Rockland and Major Crime East Region), Geoff was the good guy committed to catching the bad guys. An avid tele-mark skier he was obsessed with being the first on the mountain ever searching for the pow; nothing made him happier than stoking the fire at the F'Inn Cabin with the Woodcutters and a fine single malt. Respected by his peers, loved by his many, many special lifelong friends and cherished by his family including his parents Peter and Teddi (deceased), brother Jamie (Maureen), sister Jennifer (Andy) and dear Scott (Robin), brothers-in-law the other Scott (Patti) and Jamie (Nancy), Bob and Joan. He was the neatest uncle to Alex, Brendan, Jesse, Coco, Owen and Katie; Rob, Rick and Sam. Our Buffedviking, a devoted and relentless Viking fan (now they get Favre! ), was bigger than life with a mischievous twinkle in his eye, a song always in his head and heart full of love for his girls -- he is so missed. Friends, colleagues and family are invited to share their stories and laughter and toast the Life of Geoff. A Scottish wake will be held on Saturday, November 28, 6:00 pm till 1:00 am at the Hampton Inn and Conference Centre, 200 Coventry Road off the Vanier Parkway. A service for family and friends will take place at the Beechwood Cemetery, 280 Beechwood Avenue, on Sunday, November 29th at 2:30 pm. Rather than flowers, a donation to Bruyere Continuing Care would be much appreciated. I know you like my pocket, I feel you watching down on us now and forever.. You can read and sign the Guest Book by clicking here. Guindon Gilles, of Ottawa, Ont. passed away on Wednesday September 16, 2009 at age 63. Son of Anita Pigeon and the late Joseph Guindon. Dear brother of Michelle Jack, André (Michelle Lackner), Ginette (Grant Goyer), Yvon (Lise Marcil), Serge (Tracy Osbourne), Josette (Daniel Rochette), Rémi (Melanie Millar) and Pierre (Debbie Fortin).Will be fondly remembered by many nieces and nephews. Predeceased by his sister Lise (Raymond Godard). A special thank you to the staff of intensive care of the Ottawa General Hospital . Funeral service will be held at the Funeral Home Chapel, Rockland, Ont. on Tuesday September 22, 2009 at 11 a.m. Donations to the Canadian Cancer Society or the Heart and Stroke Foundation would be appreciated. You can read more here: www.brunetfuneralhome.ca. SANSON, Lehi of Rockland passed away at the age of 20 on May 9, 2009. He is the son of Monique and Dominique Sanson. He leaves behind three sisters and two brothers and nephews and nieces. The viewing was at the Church of Jesus Christ of Latter-Day Saints, 6255 Cumorah way, Orleans, on Tuesday May 12 from 6 pm to 8 pm. The funeral service was held on Wednesday, May 13 from 11 am to noon, followed by a luncheon at the same place. We thank all those who touched his life as well as the medical staff at CHEO and the Saint Elisabeth Health Care for their care and compassion. For those who wish, a gift to the Muscular Dystrophy Association, Children Wish Foundation, or PC Children Charity is appreciated. You can read and sign the Guest Book by clicking here. Lehi is buried in Dale's Cemetery. Lehi's brother Mathoni passed away on Saturday, June16, 2012. SAUCIER, Robert Of Rockland, ON peacefully on Friday May 8th 2009 at age 67. Loving husband for 46 years of marriage of Sandra Bethune. Son of Viola Dupuis and the late Adolphus Saucier. Dear father of Robert (Chantal) and Diane (Steve). Loving grandfather of Vickie, Bobby, Robbie, Joey, Vanessa, Tyler and Jessica. Brother of Estelle and Jeannine. Will be fondly remembered by many brothers and sisters-in-law, nieces, nephews and friends. Predeceased by his sister Agathe. Special thank you to the doctors, nurses and staff of the Ottawa Hospital General Campus Cancer Center for their good care. Funeral service will be held at the Ste-Trinite Church, Rockland, ON on Wednesday May 13th 2009 at 11:00 a.m. In lieu of flowers donations to the Ottawa Hospital General Campus Cancer Center would be appreciated. You may express your sympathy to the family Tuesday from 7 to 9 p.m. and Wednesday from 9:30 a.m. at: THEO BRUNET & SONS FUNERAL HOME 2419 Laurier Street Rockland, Ont. 613-446-4691. SIMONEAU, Simone (nee Bertrand) Peacefully on Sunday morning, April 26, 2009, at home, aged 89 years. Beloved wife of the late George T. Simoneau. Loving mother of Michele, Pierre (Nicole Bosse) of Campbellton, NB, Marie (Dean Elder), Marc (Chantal Cherton) and Julie (Vicky Tessier). Loving grandmother of Robert, Sarah, and Melana (Sang Woo Nam of Cambridge, ON), and great-grandmother of Anderson. Sister of the late Annette (the late Louis Perrault), the late Roland (Genevieve Bertrand), Madeleine (the late Darcy Rancourt), Gilberte (the late Gerry Brule), Pauline (Joe Zito), Claire and Leo (Christine Bertrand). Friends may pay respects at the Kelly Funeral Home, 1255 Walkley Road, on Sunday May 3 from 2-4 p.m. and 7-9 p.m. Funeral service Monday, May 4th, to Ste-Genevieve Church, 825 Canterbury Avenue, for Mass of Christian Funeral at 11 a.m. Memorial donations to the Saint Elizabeth Health Care Foundation in lieu of flowers would be appreciated. With special thanks to Anne and everyone who assisted in her final journey. Kelly Funeral Home, Walkley Chapel, 1255 Walkley Road, 613-731-1255. Simone was a former resident of Sarsfield, but had moved away many years ago as her husband's career advanced. MINOGUE, Catherine "Kay" Peacefully at Sarsfield Colonial Home, Wednesday April 22, 2009. Kay was a life long member of the Cumberland Women's Institute. Widow of Fergus Minogue. Loving mother of Lois Morin (Robert), Linda Tanner (Gerald) and John (Frances). Devoted grandmother of Sheri (Marcel), Rob (Cyndi), Erin (Tom), Shanna (Brian), James (Catherine), Jennifer and Lara (Kurtis) and 8 great grandchildren. Predeceased by her son Norman (Diane) and her grandson Jason (Becky). Special thank you to the staff of the Sarsfield Colonial Home for their compassionate care and attention. Friends may pay respects at the Kelly Funeral Home, 2370 St.Joseph Blvd., Orleans, Friday from 2 to 4 p.m. and 7 to 9 p.m. Funeral Service Saturday April 25, 2009 at the St.Andrew's United Church, Cumberland, at 11 a.m. In memoriam donations to the St.Andrew's United Church, Cumberland would be appreciated. SMITH, C.A.M. (1925-2009) Chester Albert Marson (CAM) Smith died quietly after a lengthy illness, surrounded by his loving family. CAM was the cherished husband of Mary, the devoted father of Bruce (Stefa), Rod (Lenore), Pamela (John), Jennifer (Robert) and Peter (Krista), the dear brother of Gloria, and the proud grandfather of Tanya, Tara, Andrew, Mark, Jonah, Amelia and Neil. 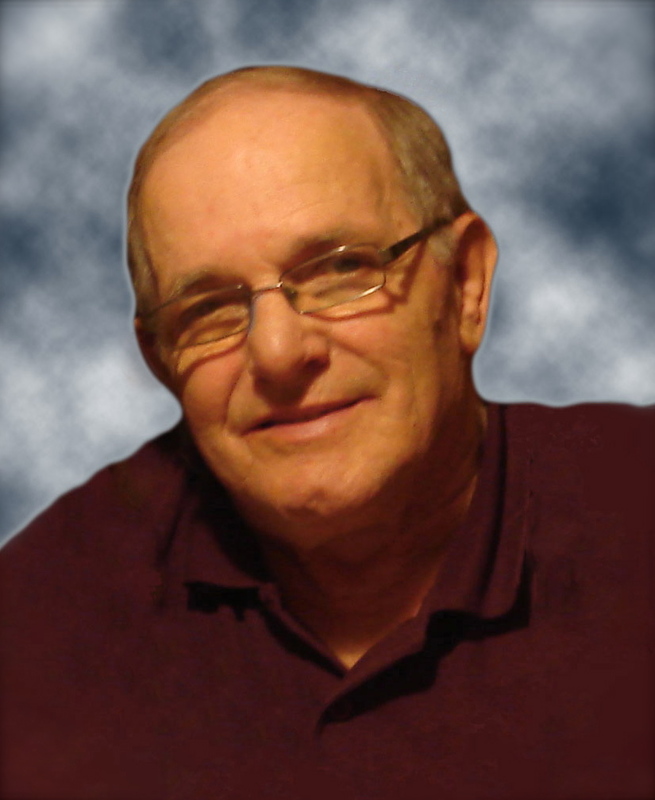 For 42 years, CAM was a loyal employee of the National Research Council of Canada where he enjoyed the opportunity to do wide-ranging mechanical-engineering research. He was heavily involved in various community-service and charity organizations, including being the President of the Cumberland Community Association, Cumberland Curling Club, Cumberland Home Support and the Cumberland Lions Club (Charter Member). The family would like to thank the dedicated caring staff at the Perley and Rideau Veterans' Health Centre in Ottawa. In lieu of flowers, donations to the Perley or the Cumberland Lions Club would be appreciated. A memorial service will be held at St. Mark's Anglican Church in Cumberland (2476 Montreal Road) on April 25th at 2 p.m., with a reception to follow at the Cumberland Lions Hall. Condolences and donations may be made at www.heritagefh.ca. and I miss her so. Memories of my best friend remain familiar and clear. -Always remembered by family and friends. 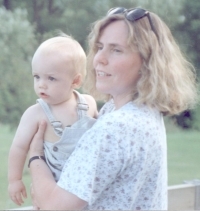 It is with great regret and sadness that we announce the passing of Marie Jeannette Monique Lussier, of Rockland, On., on Friday, January 30, 2009 at the age of 56 with her loving spouse and partner Patrick Meikle at her side. Daughter of the late Roland Lussier and Graziella (Berthe) Drolet. She was the loving mother of twin sons Emmanuel and Vincent. Sister of Pierre, Danielle (William Martin), Céline (Denis Gascon), Jean (Sylvie), Lise (Pierre Jacob) and Jacques (Sandra). Predeceased by sister Marie. Survived by nieces Marie Hélène and Sophie Lussier and Guillaume Jacob. Loved by her "second family" James, Suzanne, Shawn and Andrew Meikle and family friend François Geoffrion and admired and respected by family, friends, colleagues and all who met her. The family wishes to express their appreciation to all those who have helped, shared and prayed with us. Thank you for giving us strength. BERTRAND, Roland Of Sarsfield Ont. on Wednesday December 24th, 2008 at age 87. Beloved husband of Genevieve Nolan. Dear father of: Carl (Aline), Marilyn (Lubos Mahovsky), Janet (John Paul), Claude (Lynne), Richard (Louise), Jack (Anne-Marie) and Guy. Loving grandfather of 9 grandchildren and 7 great-grand children. Brother of: Simone (late Georges Simoneau), Madeleine (late Darcy Rancourt), Gilberte (late Gerry Brule), Pauline (Goe Zito), Claire and Leo (Christine). Predeceased by one sister Annette (late Louis Perrault). Funeral service will be held at St-Margaret Mary Church, Cumberland Ont. on Tuesday December 30th 2008 at 11 a.m. Donations to the Ottawa Cancer Center would be appreciated. You may express your sympathies to the family at the church 45 minutes before the service. For more information call THEO BRUNET & SONS FUNERAL HOME ROCKLAND, ONT. 613-446-4691. CHENIER, Anna Nee Chung Fung-King, of Rockland, On., passed away on Wednesday, November 26th, 2008 at age 58. Beloved wife of Bob Chenier. Daughter of the late Chung Chi-Hei and the late Ko Shiu-Chan. Loving mother of her 3 sons, Dominic, Geoffrey and Christopher. Dear sister of Brisco, Jennifer, C.F., Tony and Lao Yuk Yu. Will be fondly remembered by her family, friends, church and community. The family wishes to express their appreciation to all those who have helped, shared and prayed with us. Thank you for giving us strength. A Funeral service will be held at the Ste-Trinite Church, Rockland, On., on Tuesday, December 2nd, 2008 at 11 a.m. Family will receive relatives and friends at the church from 10:15 a.m. Donations to the Ottawa Hospital General Campus Cancer Center would be appreciated. For more information call THEO BRUNET & SONS FUNERAL HOME 2419 Laurier Street, Rockland, On. Tel: 613-446-4691.